There are two major things that make a home, and that’s the bare necessities and storage. 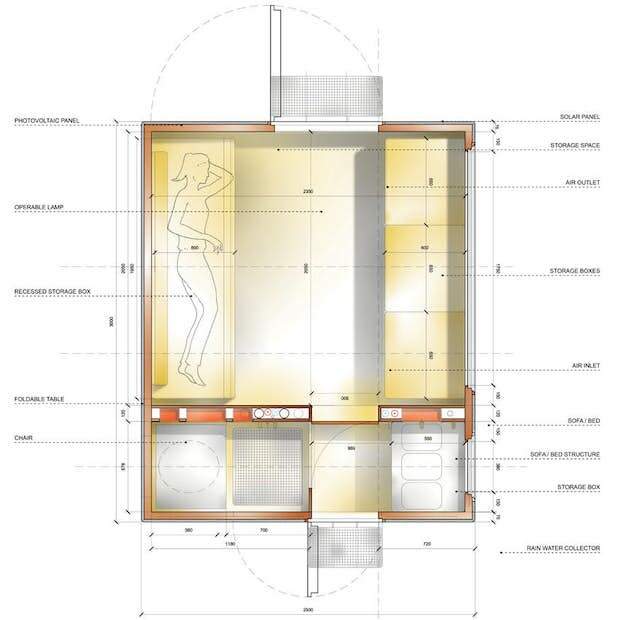 The Diogene Micro Home pushes these two things to their limits with this super tiny house design. This home already has everything covered. 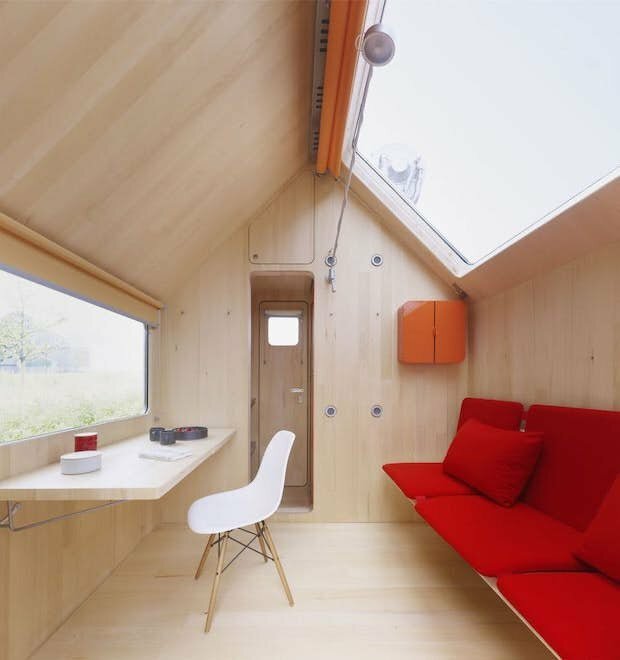 It has a place for work which doubles the sleeping space. 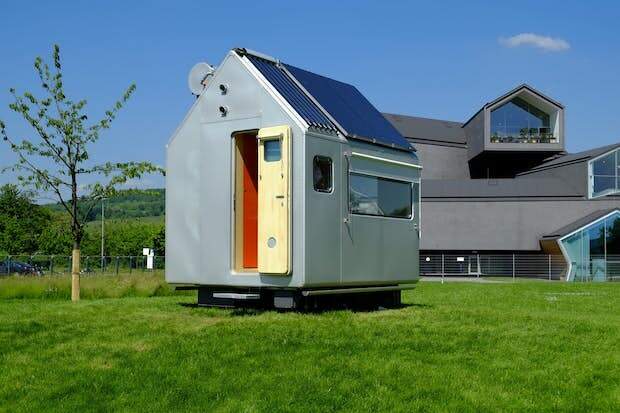 It’s equipped with sustainable technology for off-the-grid living. 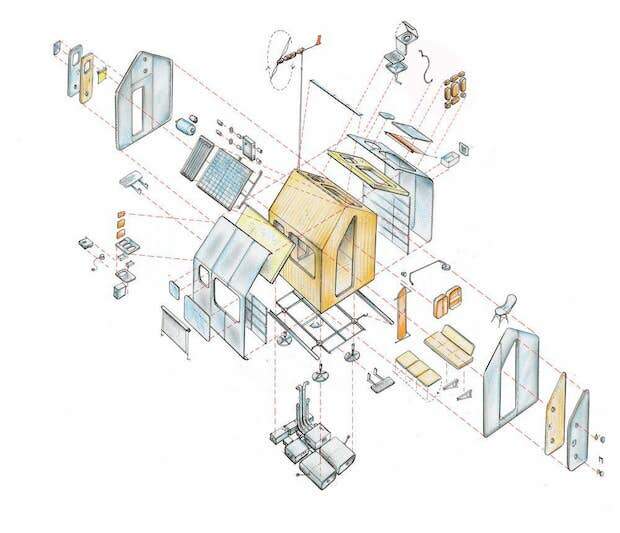 There are storage spaces incorporated into the home’s design as well. Multi-functional furniture makes good use of the limited space. The materials used for the Diogene allows it to withstand hot weather and snow storms. 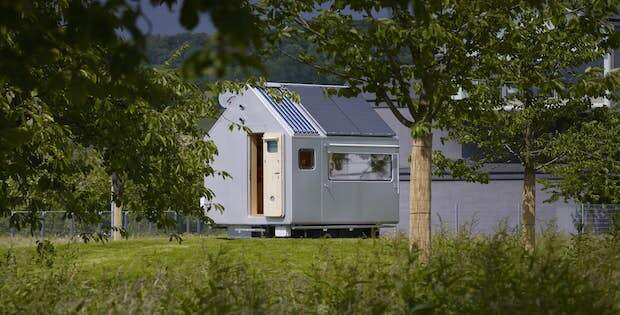 This tiny home comes to show you don’t need the biggest of houses to make the coziest of homes. Living with just the basic necessities can go a long way. 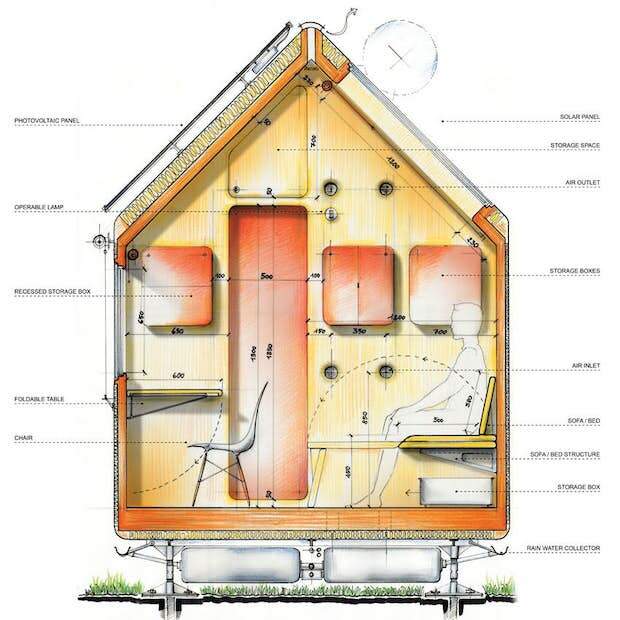 Although the Diogene micro home is only big enough to accommodate one person, it would make a great backyard office, nature retreat or studio. 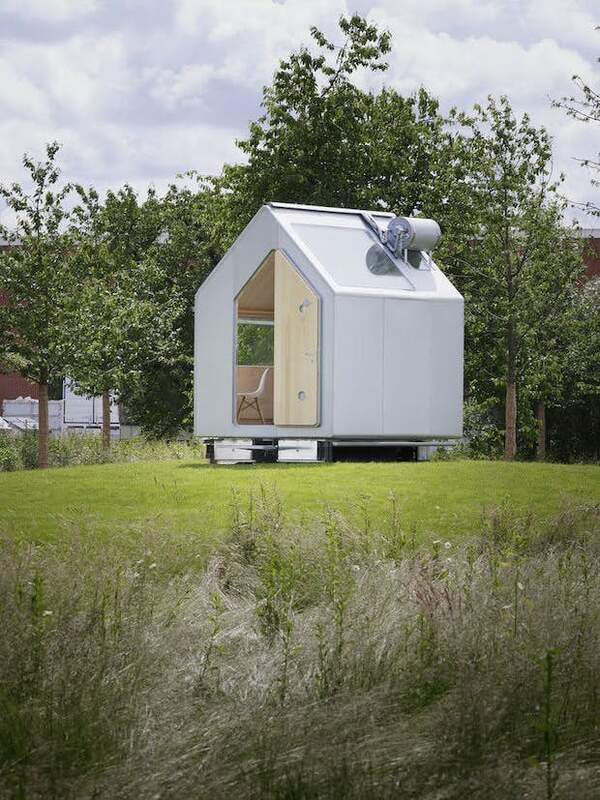 Three different versions of the living unit are anticipated to be available from Vitra in 2014 and we hope the collection will include a bigger version that’s suitable for a couple or small family. THIS CABIN IS AN ADVENTURER’S DELIGHT!